The good guy’s version of the classic tale of Bonnie and Clyde’s brutal crime spree. The Highwaymen showcases excellent performances from its two leads but unfortunately is never quite as compelling as the villains tale. Nonetheless it is very entertaining and certainly worth viewing. Coming off the back of two “loosely based on a true story” features, John Lee Hancock brings a third to our screens with The Highwaymen. 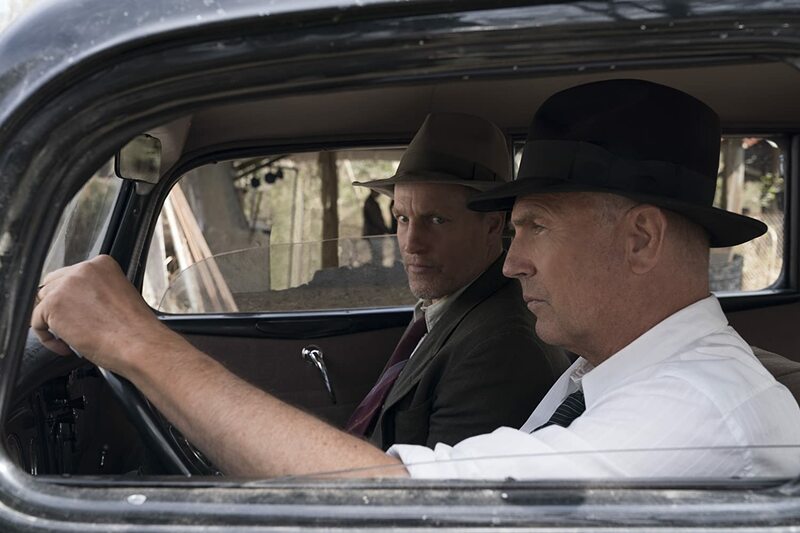 Starring Kevin Costner and Woody Harrelson the film depicts the events leading up to the fatal shootout in which Bonnie and Clyde were gunned down in their car from the lawmen’s perspective. Offering an interesting juxtaposition to the long solidified cultural glorification of the two outlaws personifying them less as youthful revolutionaries and instead as soulless monsters, The Highwaymen goes a long way to telling the other side of the story even though that story isn’t always that interesting. 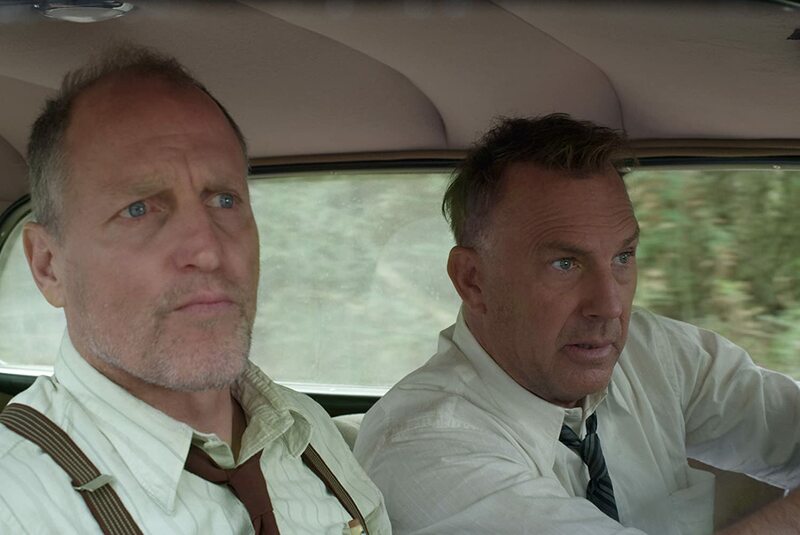 After several years in retirement, ex-Texas Ranger Frank Hamer (portrayed by Costner) is approached by the Governor’s office to track down Bonnie and Clyde and end their criminal rampage by any means necessary. 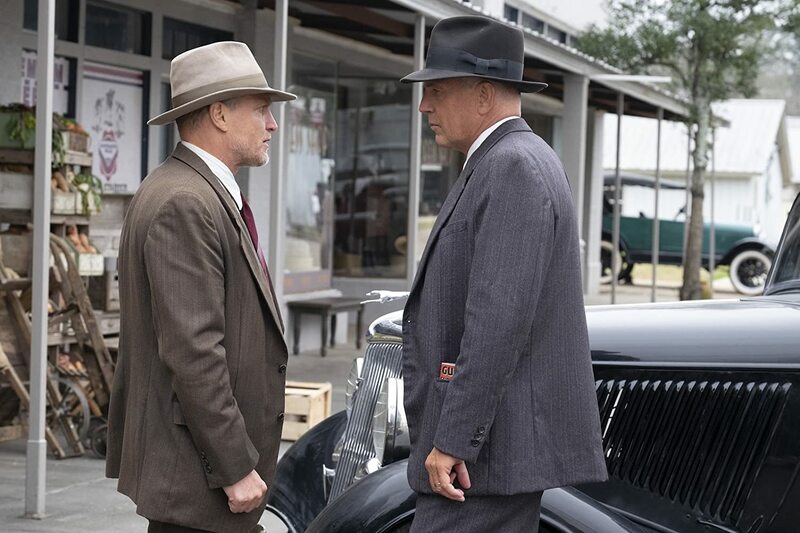 Initially reluctant Frank realises that being a lawman was the only thing he was ever good at and takes the job, enlisting the help of his old partner Maney Gault (portrayed by Harrelson). The partners set off on a journey across the south in pursuit of the two criminals and the rest of their gang using their Old West methods much to the dismay of the newly formed Federal Bureau of Investigation using J. Edgar Hoover methods of crime chasing. The two leads are portrayed very well as the two seasoned actors playing the grizzled gunslingers both have had experience with this type of character in the past. Very little dialogue is shared between any other characters in the story which leaves the rest of the cast a little unremarkable and forgettable but it doesn’t take away from the experience as the clear focus is on Costner and Harrelson. Each of the pair have their own moments to shine including powerful and very fitting monologues that allow the actors to stretch their legs and show us again why these two are still so celebrated. The plot develops simply and fairly predictably. Many of the beats seem to only be there to service Costner delivering a stern look and even sterner line and the famous climax of the Bonnie and Clyde story is delivered with as much brutality as the original from the 1967 classic. Luckily where the film lacks in interest it makes up for in pace. 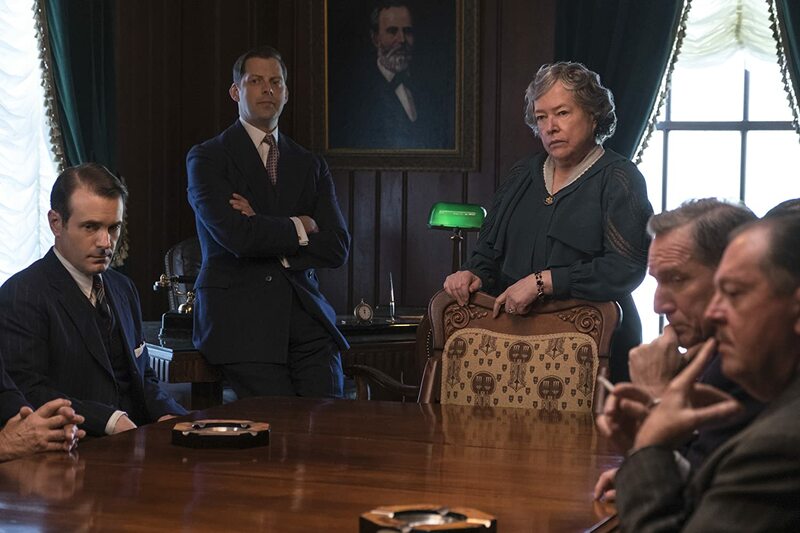 Much like the Texas Rangers the plot doesn’t waste much time on any singular scene and allows the story to flow naturally, refusing to be held up at any narrative roadblocks. Unfortunately it is at no point as compelling as the original telling but the pace and performances allow for an entertaining two hours nonetheless. Visually the film benefits from John Schwartzmen’s fast moving yet simple and smooth cinematography style. Lovely shots of the very well realised 1930’s southern America set the tone perfectly for the Wild West story the film attempts to tell. Unfortunately the film is let down by its editing with many scenes using far too many cuts in the name of pace which sacrifices any time to appreciate the wonderfully designed costumes and scenery. It it very noticeable at times that attempts to raise the tension through fast cutting fall flat on their face potentially leaving the audience confused or emotionally blocked out of the scenario due to not mentally being able to keep up with the amount of reaction shots. It’s a shame because what’s been caught in camera is quite visually compelling but there’s often very little time to sit back and appreciate it. Thematically the film does come into its own and offers a retelling of the Bonnie and Clyde story in a way in which morally it should be told. It’s easy to forget in the glorification of the outlaws that they were relentless murderers who showed no mercy when it came to robbing people, a point the film strongly puts across. Furthermore the film doesn’t shy away from showing the media and public mania surrounding the villains as an overly shameful thing that devalues the work of the lawmen who were chasing them. The original film came out at the height of the youthful rock ‘n’ roll revolution and has always remained a pillar on the cinematic side of that cultural shift. Whilst not a direct attack on what is a culturally very important film The Highwaymen does ask questions of ethics surrounding the glorification of one of the most brutal crime sprees in modern history. Wherever you personally choose to land on the morality of the story, hearing it from the other side is certainly interesting enough to make the film worth viewing. Whilst not quite the cultural pillar the original Bonnie and Clyde (Arthur Penn, 1967) turned out to be, The Highwaymen offers an entertaining retelling of the story from the lawmen’s perspective. Strong performances from the two leads and a very well imagined 1930’s southern United States make for compelling viewing. Unfortunately poor editing in places breaks up an otherwise carefully crafted tone and forgettable performances from the supporting cast doesn’t help when it comes to solidifying this film next to its 60’s counterpart in the history books. However what is here is very entertaining and certainly worth a viewing regardless of your opinion on the morality of turning two of the most dangerous outlaws of modern times into youthful revolutionary heroes.